On Thursday, September 8, Ford Hall was met by an enthusiastic crowd — the first of many to soon step foot across its floor. 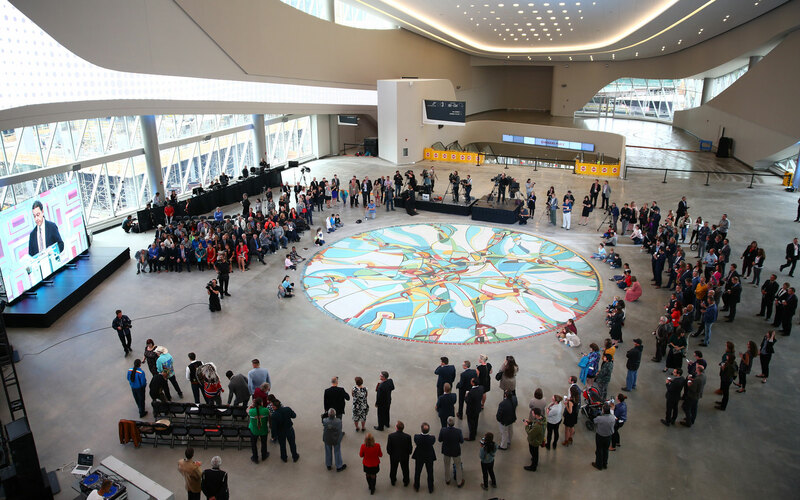 Alex Janvier, the signature artist for Ford Hall, was joined by his family and members of the media for the official unveiling of Tsa Tsa Ke K’e (Iron Foot Place) — the 45-foot circular mosaic that now rests in the floor of Ford Hall, a public entryway into Rogers Place stretching across 104 Ave.
Alex Janvier (center) stands with friends & family, alongside OEG Chief Project Development Officer Bob Black (left) and Mayor Don Iveson. “This painting sits right over one of the streets,” Janvier said, pointing out its unique public location. 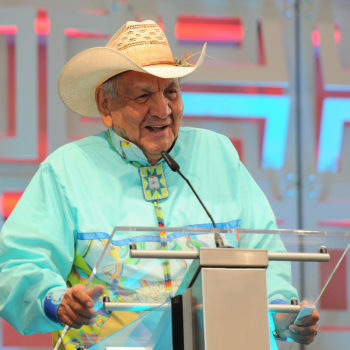 Before the unveiling, the program opened with a prayer led by John Janvier, followed by a drum song that honours Alex Janvier’s Dene sųłı̨né and Saulteaux descent. 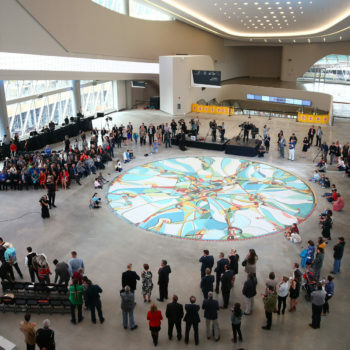 The black cloths that had been concealing the artwork from the eager crowd were then pulled back by Janvier’s grandchildren, as well as Alexandria Harrison’s grade 4-5 class from Kensington School — as a part of the City of Edmonton’s City Hall School Program. Revealing the bright colours and flowing shapes, the crowd applauded at the grand unveiling of Tsa Tsa Ke K’e. 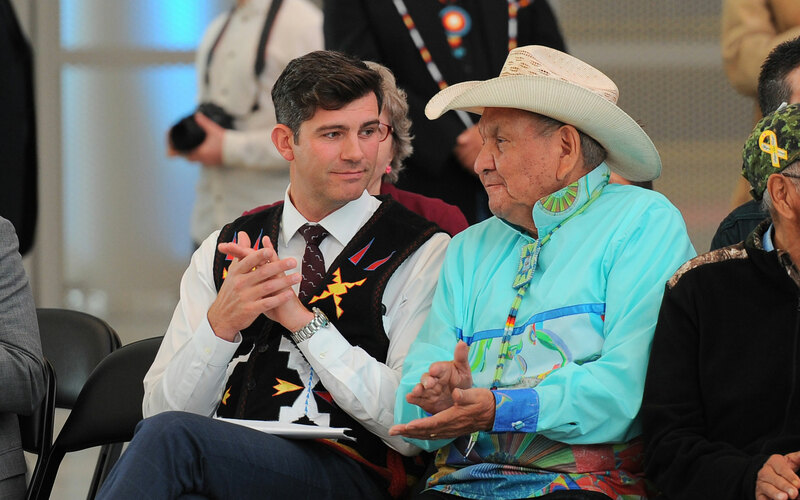 Following words from Janvier, Mayor Don Iveson took to the podium to share his gratitude towards Janvier’s work, as well as the City of Edmonton’s Percent to Provide and Encourage Art in Public Areas policy. 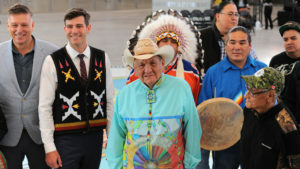 “I am honoured and privileged to be a part of this unveiling,” said Iveson. “It represents the natural beauty and tranquility of this territory. 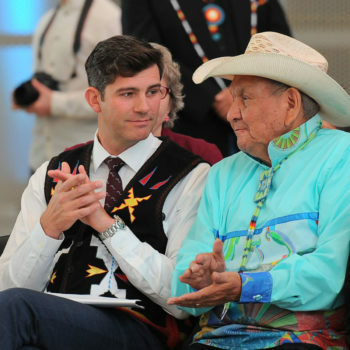 It will act as a gathering space and conversation starter,” Iveson added. 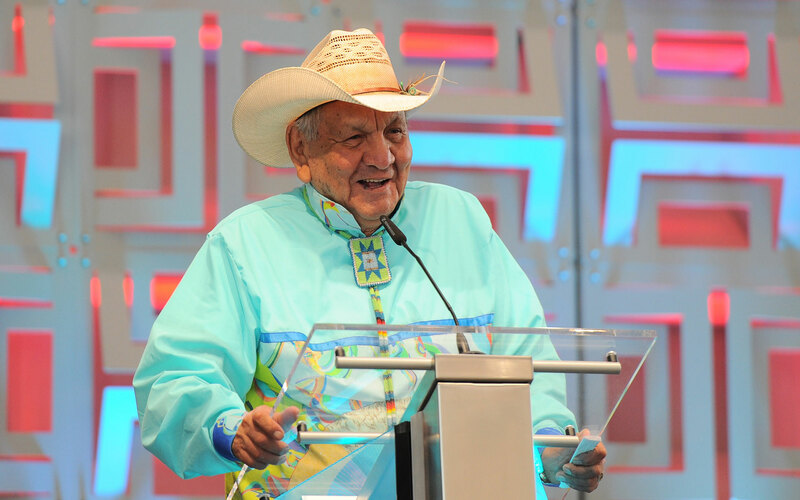 To close the ceremony, guests took part in a traditional Sweetgrass Ceremony and Round Dance, followed by a closing prayer and honour song to celebrate the momentous occasion. 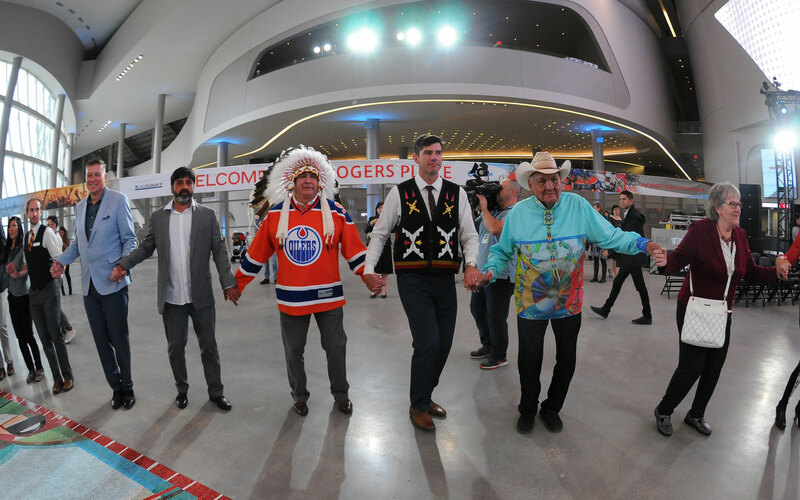 Rogers Place will host its Grand Opening and Ribbon Cutting Ceremony with the City of Edmonton and the Oilers Entertainment Group. 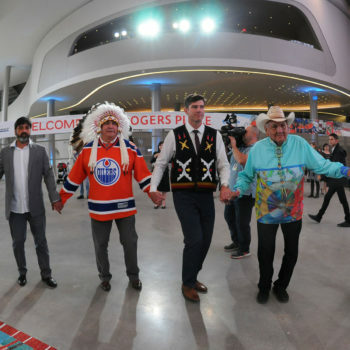 Check back on RogersPlace.com and follow along with our live stream at 5:00PM.